The 5th edition of the Translating Europe Forum will focus on how translators can work in an industry that is changing rapidly. Data are becoming more and more important, but what kind of data? 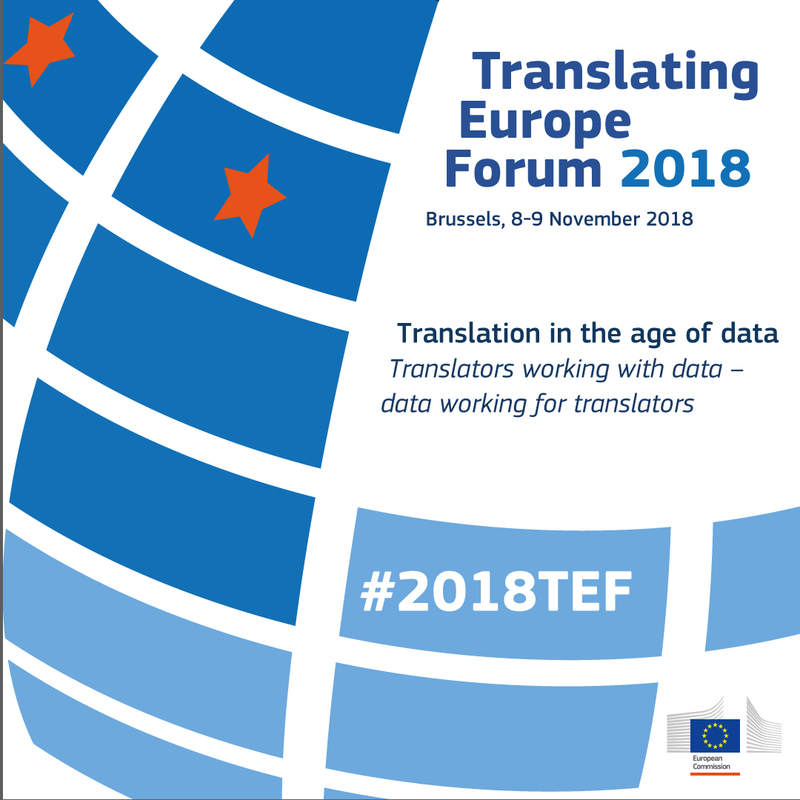 How can translators benefit from the data they produce? How will artificial intelligence affect the language industry and individual translators? How is neural machine translation changing the translation profession? What is the EU doing? What about sharing translation data – what are the legal and practical aspects? These and other questions will be addressed at #2018TEF. Please be aware that due to the limited places available we might not be able to accommodate all requests for participation. The aim is to inform practitioners about their possibilities to make it in today's and tomorrow's language services market and to raise awareness of the role of data in this changing industry. The Forum will be webstreamed in English here, but also on our YouTube channel and Facebook live. Links to the streaming will be activated on this page no later than one week before the event.